Conwy Valley Cottages Self-cateringConwy Valley Cottages are nestled in the beautiful area of Conwy, close to the edge of Snowdonia National Park. These unique self catering stone built cottages are situated around the original Victorian house with ample scenery to enjoy whilst staying close to all that Conwy has to offer. 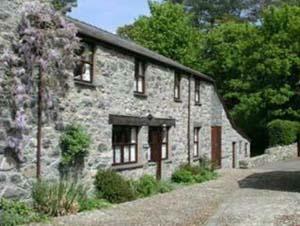 Situated in a beautiful location just South of Conwy on the edge of the Snowdonia National Park. Ideally suited for visiting all the attractions that North Wales has to offer. The area is excellent for walking, climbing, cycling and mountain biking. Children welcome from any age.